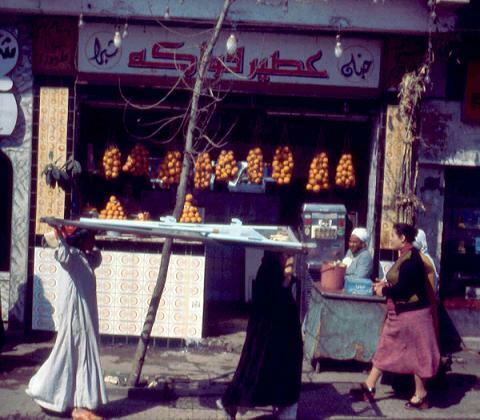 On the 3rd of March of 1980 we spent a day in and around Cairo Egypt after a wonderful cruise from Crete to Egypt. Then several years later compliments of the Air Force I spent a week at the Holiday Inn, Cairo. Both of these trips were filled with exciting and different experiences which left lasting memories. 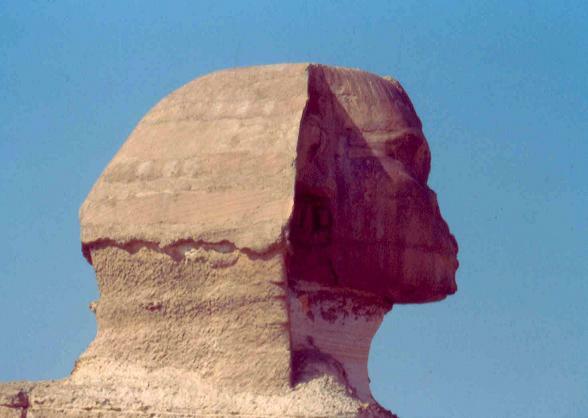 A closeup of the Sphinx from the side. Quite an impressive site at 200 feet long and 65 feet high. 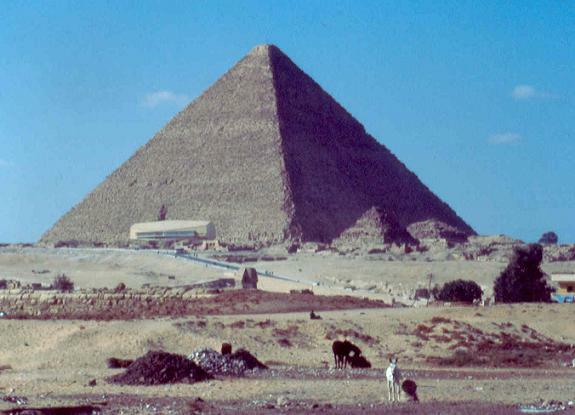 A view of a pyramid with the Sphinx almost hidden behind the sand dune. 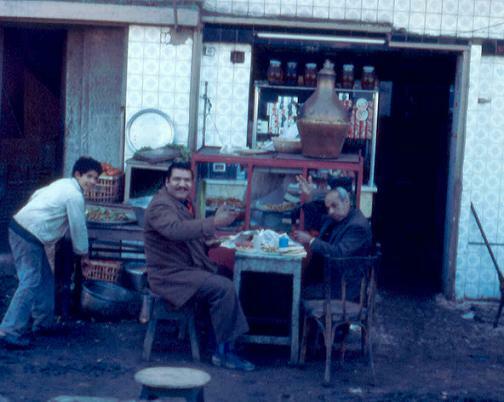 A typical street cafe with very friendly patrons. 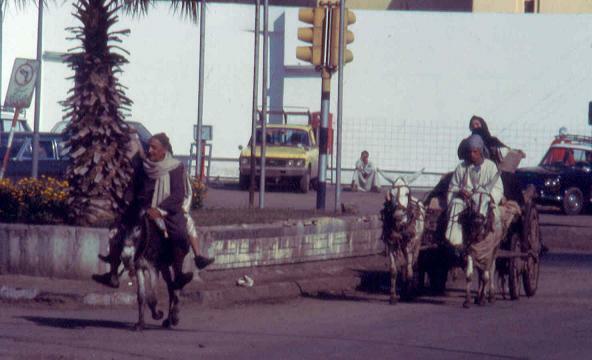 Donkeys are a popular means of transportation. 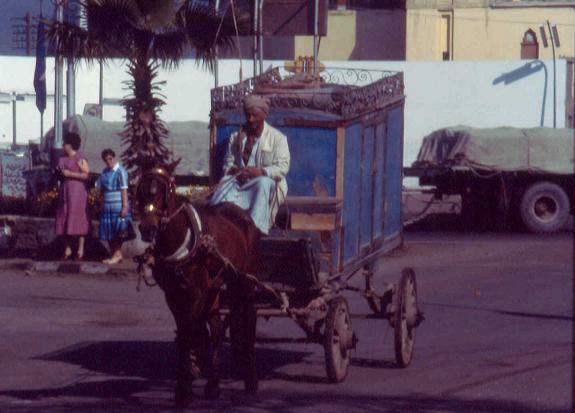 An old wagon winds its way through the streets. 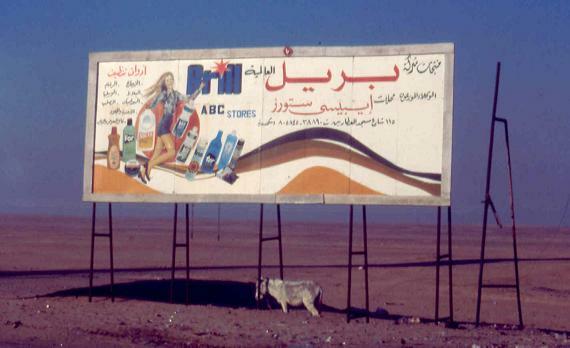 A billboard along the highway advertising a grocery store.